A lot of people have been enquiring recently about the sewage works that were started last year and where they are up to. We’re really pleased to say that 80% of the village (PHASE 1) is now connected up to the new sewage network….. HOWEVER, we’re less pleased that the interim solution from the Commune is to send this raw sewage straight out in to the ocean by Panoramas beach. Now before we get all high and mighty, it is only a relatively recent phenomenon that the UK and other European countries have been banning raw sewage going in to the oceans and doing proper water testing. 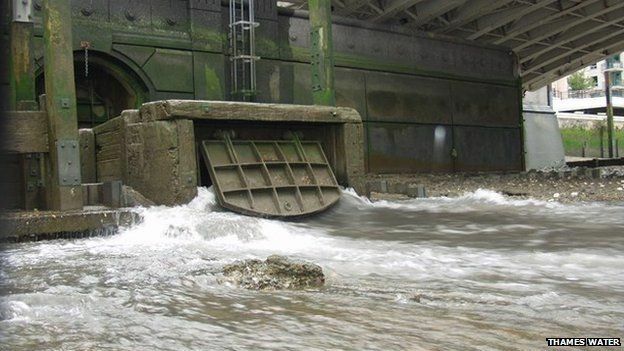 Many UK coastal villages still have sewage outlets straight out in to the sea, even London has a sewage overflow system that simply pours straight in to the Thames if there is too much rain. There is a back story… In the original plans for the village, there was going to be a sewage treatment plant to the South of Taghazout, but actually right next to the village (away from the new hotels). The Commune tried to push back on this and have argued that given there is a new sewage treatment plant at Devil’s Rock, we should just pump our sewage there. Morocco being Morocco, there are some internal politics to deal with, the main one being that the two agencies responsible for treating sewage (ONEP and RAMSA) charge different rates (one is a rural commune price, the other is for cities) and someone needed to pay the difference in the rates. This was finally agreed by using the budget previously outlined towards building the ‘Taghazout Sewage Treatment Plant’ to paying for the difference (and hopefully meaning that Taghazout doesn’t have to pay any fees for the next 20 or so years for it’s sewage. So far so good, but we still have raw sewage flowing out to Panoramas. 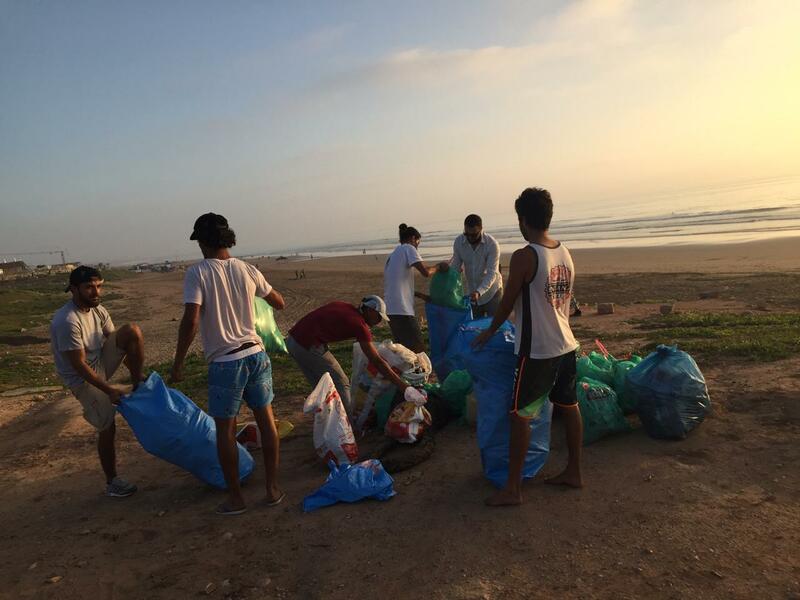 Yep, and we believe that this is a major cause of the sickness bug going round Taghazout and the area. We take our guests in cars / vans each morning to surf spots that are not contaminated, but many of the new camps / hostels and hotels don’t have transport and their guests wander down to Panoramas to surf / swim and enjoy their holiday completely oblivious to the risks. Sadly, they then get sick and we think that this then passes around the village (think norovirus can be contagious for up to 2 weeks). The good news is that good hygiene practices and being super vigilant about washing hands can help. The tender offer for this final connection phase is due to be awarded on the 4th of February, and the terms are for the works to be finished within 4 – 6 months, so we’re really hopeful that soon things will dramatically improve. From our side, we’ve got together with the other big surf camps / hotels in the area to ask the regional governor to start water testing on panoramas and the nearby beaches (we’ve also reached out to the head of the environmental division and the water testing agency directly). We’ve also put pressure on the President of the Commune to accelerate the final part of the connection to the treatment plant at Devil’s Rock to stop the sewage going out at Panoramas. In the meantime, we’re obviously telling our guests not to surf / swim at panoramas, but also trying to get the word out to the other accommodation providers to stop sending their guests down there. We’ve also asked the Commune if they can put a sign up on the way to the beach to warn people as well. We have to approach this all somewhat delicately as A) we’re the tourists, B) there are lots of different agencies / bodies / politics going on that we are definitely not fully aware of, C) there is basically some short term pain for some seriously good long term benefits. The final point is really important. 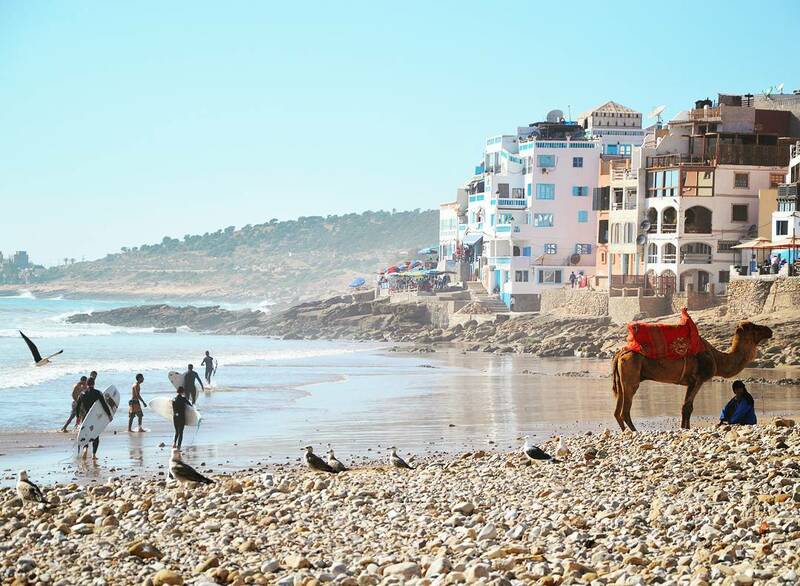 Taghazout has NEVER had a sewage system and has always had a higher sickness rate than other towns in Morocco. This has always been the case and the two things go hand in hand. By taking the decision to dig up the sewage network and take on the pain our Commune are finally doing what should have been done 20 / 30 years ago. When it is all complete, we’ll have fantastic newly paved and tarmac roads, street lights, a sewage network going to a world class treatment plant and one of the most beautiful villages in the world back better than it was ever before.